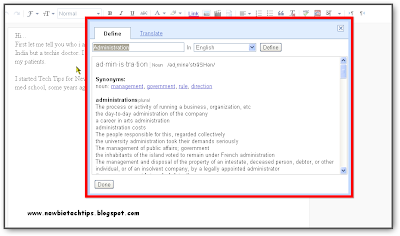 Blogger post editor has got a new "Define/Translate" key | NewbieTechTips! 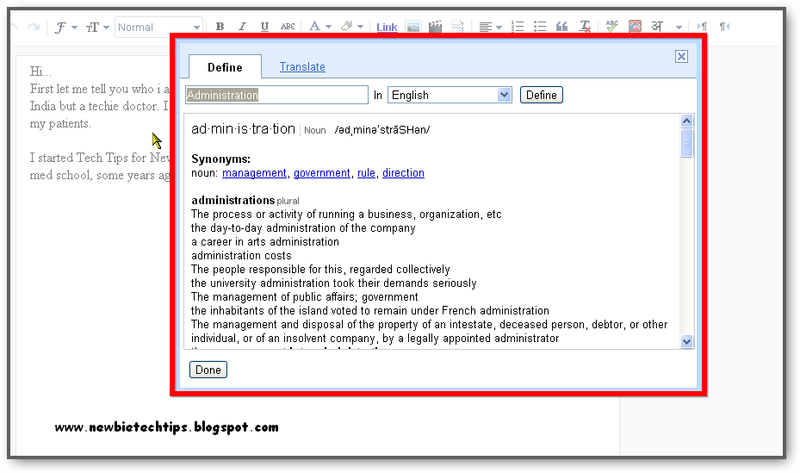 Today i notices a new key in my blogger Post Composer or Post editor window, labeled "Define/Translate"
I tested it out. Its actually for the author of the post. You can highlight some text and click on the key and it will show the definition from various internet sources, you can also get the translation. It looks like this. I noticed this key for first time on my blogs. May be its present on other blogs before. Usually Google roll out new features in batches.